Communities@Work added its voice and support to many others across the globe today on International Women’s Day. 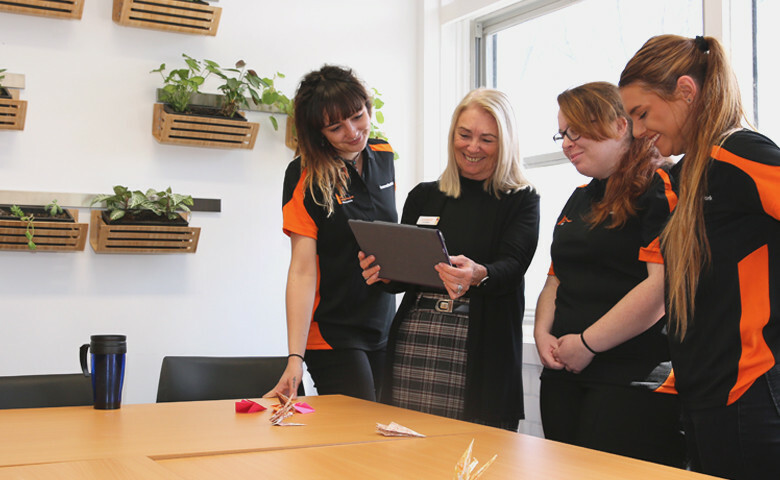 Providing a clear message, the Executive reaffirmed that: “As the largest provider of early education and care in the ACT, a mostly female dominated industry, Communities@Work will continue to be #BeBoldForChange”. The executive leadership promotes inclusivity and equity for everyone, regardless of gender, beliefs, culture, identity or any other potentially divisive barrier – and this is reflective in both Communities@Work’s service provision philosophies as well as its workforce management practices. Communities@Work’s senior leadership team comprises of nine members, of which six are women. Each of these women have inspiring stories of their own. One of these inspiring success stories is about Lee Maiden, the organisation’s Deputy Chief Executive Officer. Starting as a volunteer in the child care and education centre where her two boys attended, Lee progressed through the ranks and grew with the organisation to become the Deputy Chief Executive Officer. Lee, and the entire executive team encourages women to be supportive of each other, and to continue to inspire each other along their professional journeys.